Grahame Weinbren and Roberta Friedman, The Erl King, 1982-1985. Original version: SMC-70 computer, C/PM system, PASCAL programming, laser discs, Carroll touch screen. 2002 version : Sony computer, Linux system, Java programming, flat panel displays, Elo touch screen. View of the installation as presented in 2004 in the exhibition Seeing Double: Emulation in Theory and Practice at the Guggenheim Museum in New York. Original version (right): Altered Apple PowerBook 280c laptop, C code, acrylic. 2004 version (left): Altered Apple PowerBook G3 laptop, C code, acrylic. Courtesy of the artist and the Sandra Gering Gallery (New York). View of the installation as presented in 2004 in the exhibition Seeing Double: Emulation in Theory and Practice at the Guggenheim Museum in New York. 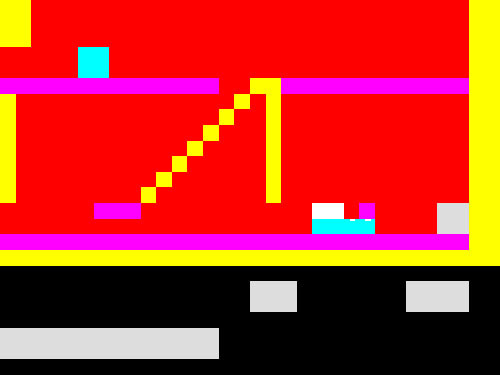 Original version: ZX Spectrum computer, interactive BASIC software code, audiocassette player. 2002 version (shown): Windows XP computer, ZX Spectrum emulator, DVD video player. Courtesy of the artists. View of the installation as presented in 2004 in the exhibition Seeing Double: Emulation in Theory and Practice at the Guggenheim Museum in New York. Original version (shown): Altered RCA television. Photo David Heald. 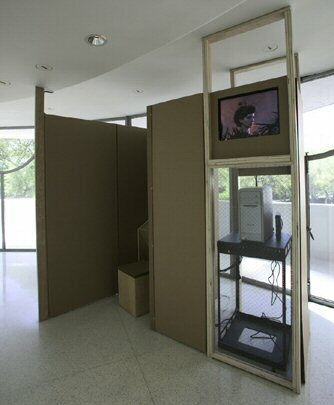 View of the installation as presented in 2004 in the exhibition Seeing Double: Emulation in Theory and Practice at the Guggenheim Museum in New York. The exhibition Seeing Double: Emulation in Theory and Practice (19 March to 16 May 2004) tests the promise of an experimental treatment (emulation) for rescuing new media art from the ravages of time. Seeing Double features a series of original art installations paired with their emulated versions. This exhibition offers a unique opportunity for both art experts and the public to compare both versions directly and decide for themselves whether the re-creations capture the spirit of the originals. This exhibition was organized by the Solomon R. Guggenheim Museum in partnership with the Daniel Langlois Foundation for Art, Science, and Technology.